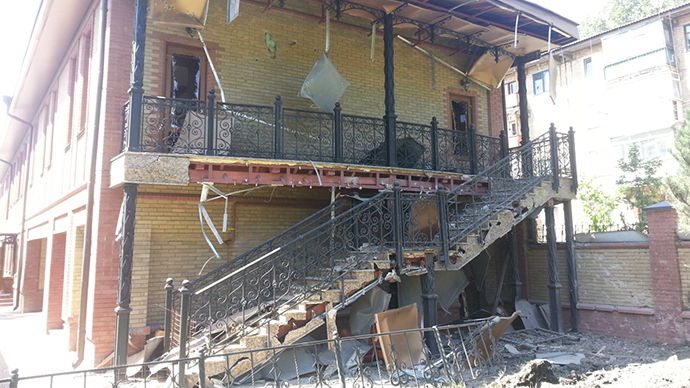 Ukrainian Orthodox Church of the Moscow Patriarchate has been receiving threats, including that of violence against the clergy, as radical nationalist movements try to take over churches and force them under the Kiev Patriarchate. Using both the years-long strife between the Ukrainian Orthodox Church and its breakaway Kiev branch, as well as allegations of the Moscow-tied Orthodox priests particularly supporting anti-government fighters in eastern Ukraine, radical activists have distributed leaflets with alarming threats addressed to the clergy and parishioners. 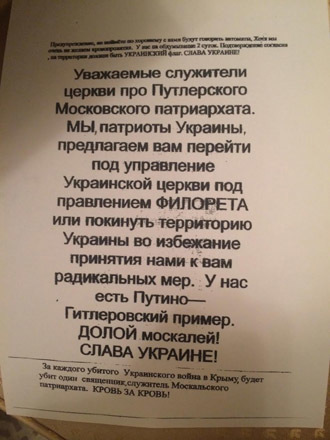 One such flier, which RT has obtained, starts with the words, “Glory to Ukraine, glory to heroes” and then goes ahead to list direct threats against Ukrainian Orthodox Church of Moscow Patriarchate and its priests, calling for “ATO [‘anti-terrorist operation’] against Moscow priests” on October 14. This coincides with the Church’s celebrating of the Feast of the Intercession, as well as with the founding date of Ukrainian Insurgent Army (UPA), usually commemorated by nationalist marches. Another flier warns churchgoers that should they not switch to Kiev’s Patriarchate then “radical measures” will be used, with the people given two days and two nights for deliberation. “For every Ukrainian soldier killed in Crimea, one priest from MoscowPatriarchate will be killed. Blood for blood,”states the flier. As the fliers have been widely distributed, the Security Service of Ukraine has issued a warning, saying that citizens should not “fall for this primitive provocation.” Some Ukrainian mass media went as far as saying that “Russianspecial forces” were behind the distribution of the leaflets. However, calls for targeting and occupying “rival” churches had already been voiced by radical activists over the course of the Ukrainian crisis. Since July, twelve Moscow Patriarchate churches have been taken over and transferred to the Ukrainian Orthodox Church under the Kiev Patriarchate, with support from nationalist groups. There has also been an increase of vandalism against Ukrainian Orthodox churches, especially in the western parts of the country. 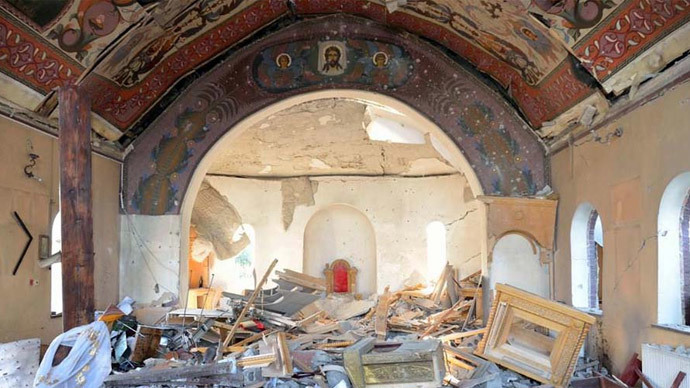 Meanwhile, artillery strikes in eastern Ukraine did not spare the buildings and the worshippers of the Church, with shells killing civilians and destroying property. So far, three priests from the Ukrainian Orthodox Church have been killed and another three injured, according to RT’s sources. 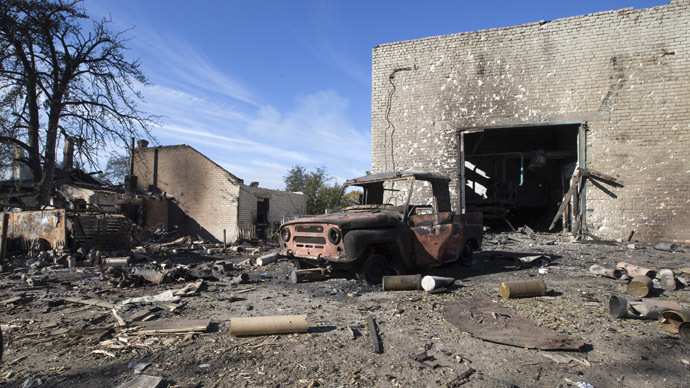 Up to six clerics have faced abuse from Ukrainian forces. Some have been illegally detained and held by the ultra-nationalistic Right Sector group. 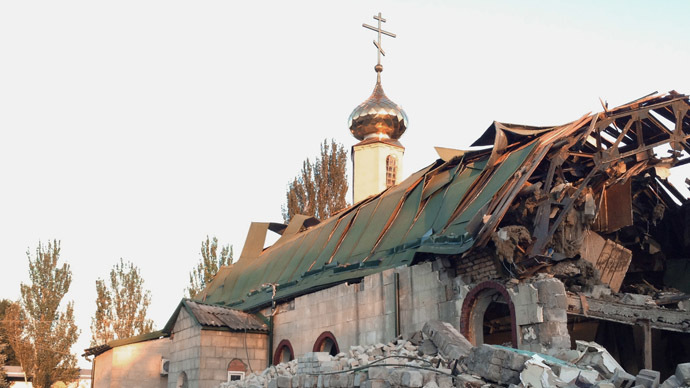 Approximately 22 churches have been destroyed or damaged in Donetsk and Lugansk regions since the start of military action. Moscow Patriarchate called for an end to violence and threats against Ukrainian Orthodox Church on Monday. Head of the Synodal Information Department Vladimir Legoyda urged in a statement to protect the Ukrainian Orthodox Church from political and religious radicals. 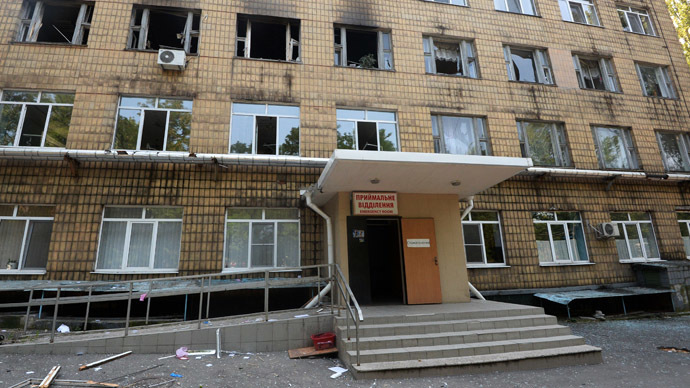 “We receive a great number of messages about violence against representatives of the Ukrainian Orthodox Church, its churches and monasteries,” Interfax quoted Legoyda as saying. 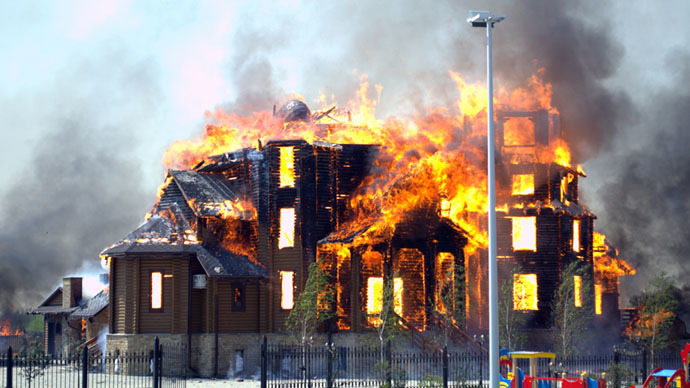 Legoyda also highlighted an attempt to take over the Sts Boris and Gleb Church in Pereyaslavl-Khmelnitsky on October 5, which was followed by the distribution of threatening leaflets inciting violence against Ukrainian clerics, who are under the Moscow Patriarchate, in the western region of Rovno. He confirmed receiving reports of planned actions of violence against the church on October 14. “I believe that calls for actions of violence and intimidation against clerics of the Ukrainian Orthodox Church on October 14, the Day of Protecting Veil of the Holy Virgin, are very cynical and can be voiced only by the people who don’t have anything in common with any religion,” Legoyda stressed. In the meantime, Ukrainian Orthodox Church under the Kiev’s Patriarchate issued a statement denying any involvement in the threats and blaming Russia for distributing the quoted leaflets. Ukraine has two separate Ukrainian Orthodox churches: the Moscow Patriarchate and the Kiev Patriarchate. The country also has Ukrainian Autocephalous Orthodox Church, which is not recognized by the other two Orthodox churches within the country.